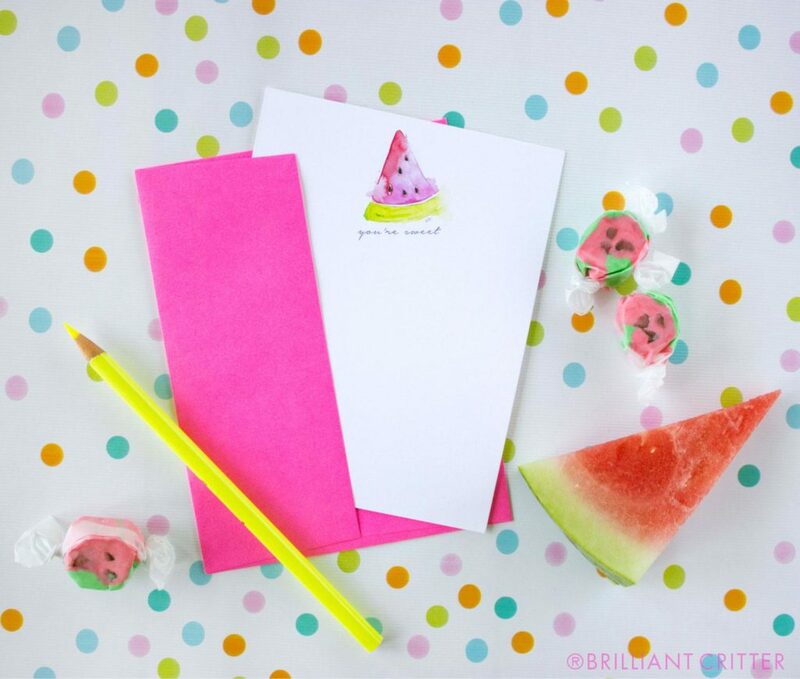 Get ready for some sweet fruity image overload in these adorable styled product photos! 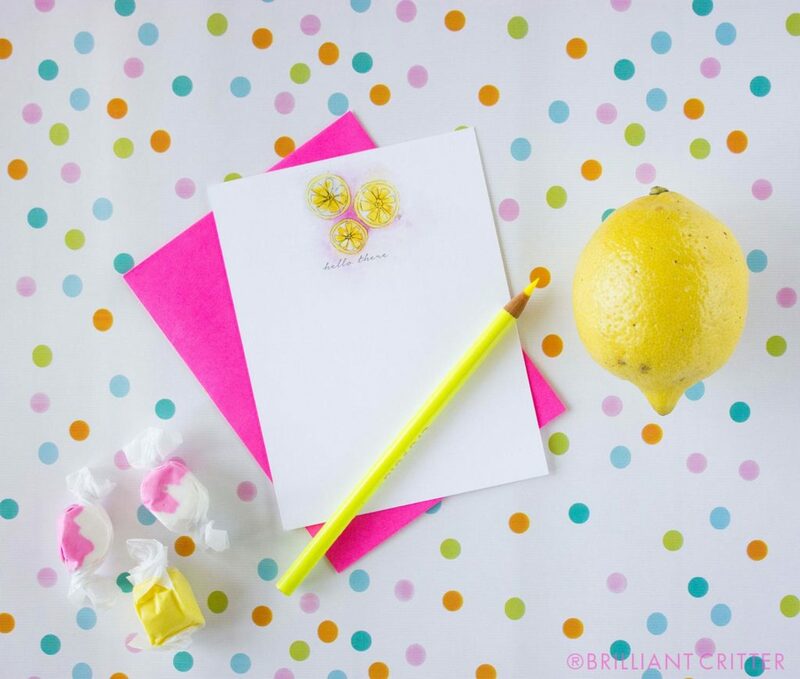 This colorful notecard product line from artist and illustrator, Brilliant Critter was so much fun to work with and style. The artist wanted styling that played into and enhanced their bright watercolor fruit illustrations. 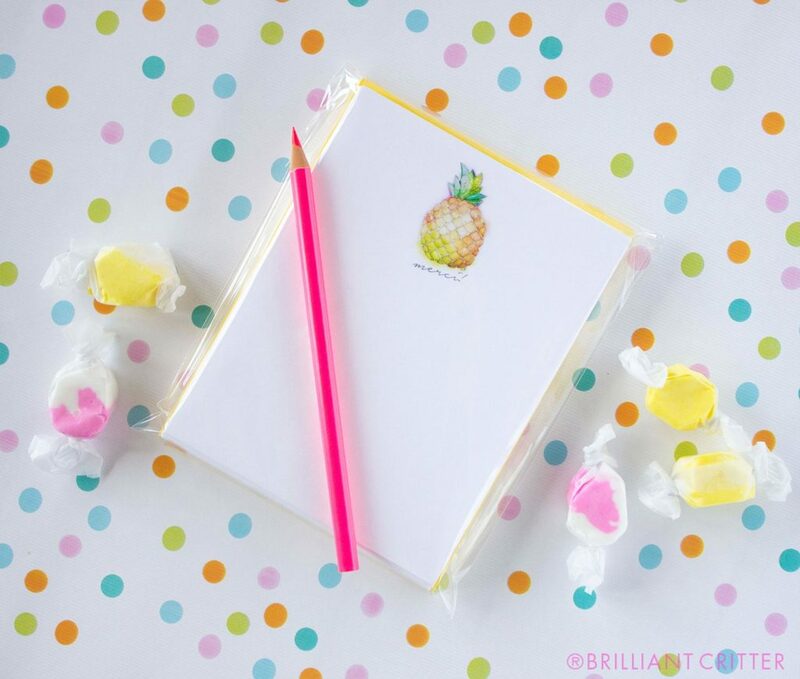 So we chose a multi-colored polka dot background and matching taffy candies to go with this product shoot. Neon colored pencils were are also use rather then a regular old pen or pencil. Pieces of matching fruit were placed to add some extra juiciness. The fresh, bright colors make you instantly smile and the pieces of fruit make your mouth water. When we work with a client for a branding photo shoot a key part of making sure we get everything spot on is an in-depth consult so we can understand the brand and product line the client is looking to advertise or enhance. Take at look at some of our other brand photo shoots HERE.